It has been nearly 6 months since I stepped foot on a United Airlines plane, but with a last minute trip to Houston, I took the plunge and flew United on a domestic award ticket using miles. As 12,500 miles $5.60 in fees made more sense than nearly $500 for a last minute ticket! Usually I do not write reviews about domestic flights, because there is nothing special to write about, but as I have flown between Seattle and Houston several times this year on both United and Alaska now, I have a few thoughts about United that I thought I would share. United Airlines does a good job of offer meal options in first class. On my flight between Seattle and Houston there was a vegetarian pasta option or a meat option. The only downside was that there were only 4 vegetarian options on board, so once they were out, everyone else received chicken. Meanwhile, Alaska only offers meal options on transcontinental and Hawaiian flights which has lead me to start a petition for meal options on more Alaska Airline flights. I do not fly United very often, in fact I tend to only fly them when I have no other option, such as when I was commuting to Wyoming last summer for work. Regardless, based on this flight alone and my miniscule sample size, flight attendants finally seem to be somewhat happier at United and the merger woes might finally be behind them, or at least this cabin crew had accepted their fate and were not playing the passenger blame game. Service on this flight was spot on. Cabin crew perused the aisles of first class every 15-20 minutes to offer drink refills and checked on passengers. This is much more similar to what I’ve seen in the past at Alaska or Delta, not United and overall a huge improvement! Not once did anyone have to use their call light, as the flight attendants were attentive and proactive! United has the industry’s WORST gate lice, I think only southwest has more people blocking the boarding area than United. Since United has partitioned lines for groups 1-5, people tend to line up by their group numbers long before the flight is even going to begin boarding. When I walked by the gate 30 minutes before boarding was to begin, the gate already had 30+ people lined up for the flight. TOD Upgrades Dilute Elite Benefits. 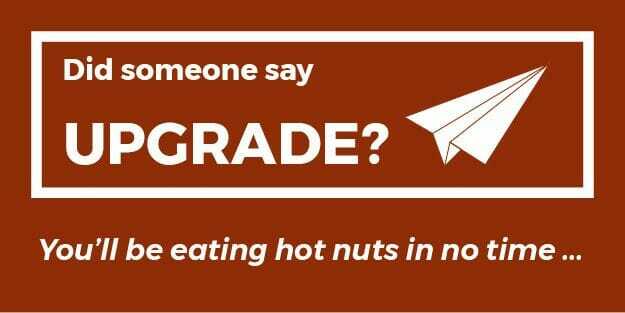 United has the worst upgrade policies in the industry with paid upgrades trumping elites time and time again. On my flight 6 people were upgraded and there were still 2 seats left in the forward cabin with about 10 people on the upgrade list. At check in, I was offered an upgrade to first class for $299. I laughed and continued to check in for economy class. At the airport I printed out my boarding pass as my phone battery was low, and the self-check-in machine offered me an upgrade to first class for $109. I took the bait and upgraded myself to first class. Not only did I jump the upgrade que and handed United extra revenue, I was the passenger that Elite flyers hate; the individual with the cheap upgrade. Flying United was much better than I recall from previous experiences, especially compared to flights I took with United 3-5 years ago. The airline appears to be investing is much better inflight products, from coffee to premium adult beverages and cocktails, and are updating their fleet to ensure customers have a similar flying experience regardless of the plane type. United still has a long ways to go, and faces challenges with such a large fleet, but I can honestly say with Jeff gone, things are already looking up for the unfriendly skies!